The dark energy certainly does more than accelerate distant galaxies – still it is just a tiny 10-50 additional charge density in the Grid. For viewers that want to dig deeper, I recommend the ToS Summary that also lists the support and proofs of the Theory of Something. A popular question is still whether I have confused Weight and Mass, which is best addressed at the previousblog entry. The ToS proves that they are equal, by deriving both F=ma and the gravity law from electricity. Newton’s fundamental mechanical laws of physics are not fundamental anymore – They are derived from electricity, which is the fundamental law of physics! Question: What's between the nodes? Some type of foam? Between the Negtrinos there is nothing – stable nothing – because there are negtrinos around… Or one could argue that there are E- and B-fields there – but is that something? In school I was thought that you can measure E- and B-fields, but to do that you need to insert a test charge – and all you actually measure is force between charges. E- and B-fields can be seen as just something we introduced for mathematical convenience. Force between charges is the only thing we can measure. Look at the equations at http://bit.ly/TheCreation. There you see the E- and B-fields, but insert those expressions into the top equation – Lorentz force law – and E and B disappear totally! What is left is only force between moving point charges – a single equation for everything. You can actually have a “field”-perspective or an “action on a distance”-perspective. The equation of everything shows they are the same. So, exchange "foam" for "field" if you like – or be happy with nothing in between. hello, I'm incredibly happy to have found your work and enjoying reading what you have so far made available. This potential will decay as the university expands and matter will show less and less mass. University? 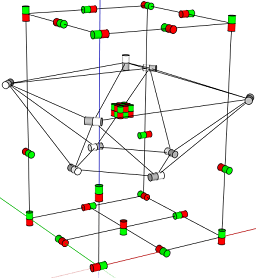 generating en electron with its 9 negtrinos. En? well, I read it. I wish my maths was stronger than it is. physics was my absolute favourite at school and my favourite thing to read to this day but a weakness in maths prevented me following that line. the theory, I love. anything theoryofsomething can say about that? I'd think so! 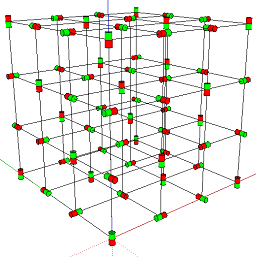 I think our findings and understanding of superconductivity is correct and goes well with the existence of the Grid filling up space. Actually the Grid is required for it! 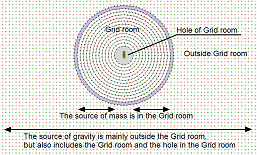 If space were “Nothing” instead of the Grid, we would not have magnetism as we know it. There would only be electrostatic forces – Coulombs law – and the CERN demonstration would fail. 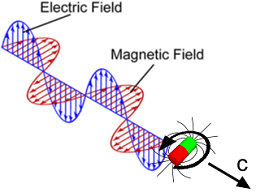 But, since http://bit.ly/TheCreation, we have the “extended Coulombs law” – the Equation of Everything – describing magnetism also, making “Nothing” unstable. That results in negtrinos/postrinos showing up, forming the Grid and giving us both space and time! That is the Theory of Something finding and view (ToS 8.2). I encourage others to review and improve on that analysis! Particle is not spelled correctly. 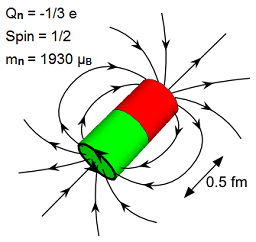 I can imagine the negtrino not a rotating cylindrical particle. What I'm imagining is a spherical charged particle in a fixed position with its electrical poles moving diametrically from each other. 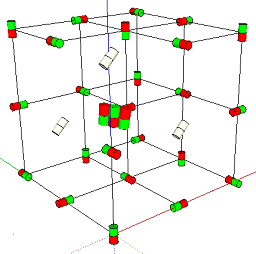 I can also imagine a more stable Grid - a triangle is more stable than a square, a triangular prism is more stable that a cube. In my imagination, shapes take precedence over numbers. All forces on matter derived in ToS 5. Creative Commons (CC) Copyright Theory of Something. theoryofsomething at gmail.com . Awesome Inc. theme. Powered by Blogger.